As people become more interested in where their food comes from and how it is grown, the desire for organic produce has steadily increased. But the higher prices of organic vegetables put them out of reach for many families. This is why so many families are breaking ground and committing to growing their own organic food at home. As with any garden, common garden pests must be kept under control so they don’t decimate the crops. 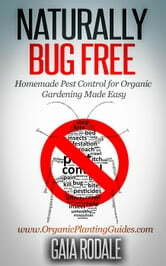 In order to maintain the organic integrity of the garden, pest contol needs to be done naturally rather than with some toxic synthetic chemical concoction from the home improvement store. This means going back to basics and using natural methods for pest management. 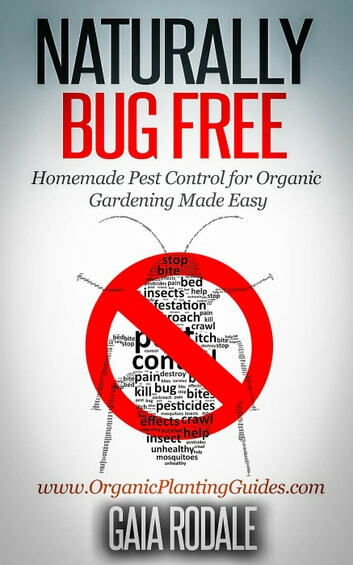 #1 Best Selling author Gaia Rodale’s “Naturally Bug Free: Homemade Pest Control for Organic Gardening Made Easy” contains the information you need to take preventative measures to keep pests from attacking your plants, identify and attract the insects you want, and rid plants of pests when necessary. This guide provides the information you need to prevent and manage common garden pests without commercial pesticides or insecticides. From explaining why natural pest control is important to providing an over view of how beneficial insects can help with pest management, everything you need for pest prevention, management, and control is between these pages.